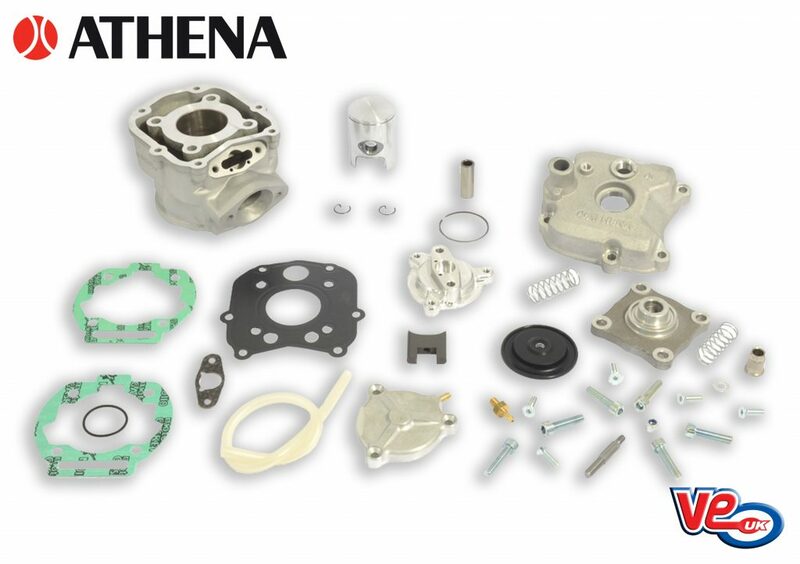 Athena have announced their latest 50cc performance cylinder kit for the Derbi D50B motor, which will be available through UK importer VE (UK). Taking inspiration from their popular AM6 cylinder kit with power valve, the new cylinder adds fitment for many popular 50cc motorcycles from Aprilia, Derbi, and Gilera, giving increased engine revs with increased torque throughout the entire rev range. Manufactured from aluminium and featuring a Nicasil plated 39.88mm bore, with a single ring piston and 2 piece cylinder head, its design includes redesigned compression chamber to further optimise performance. The included power valve is vacuum operated by utilising exhaust gas pressure to open and close the valve, thereby not requiring a modified ECU. This entry was posted in Moto 50/125 Parts and tagged 50cc, athena, d50b, derbi, power, power valve, valve. Bookmark this page.